To enable us to efficiently complete your SMSF returns we need to pull the bank account transactions from your SMSF bank and loan accounts into our specialist accounting system (Class). 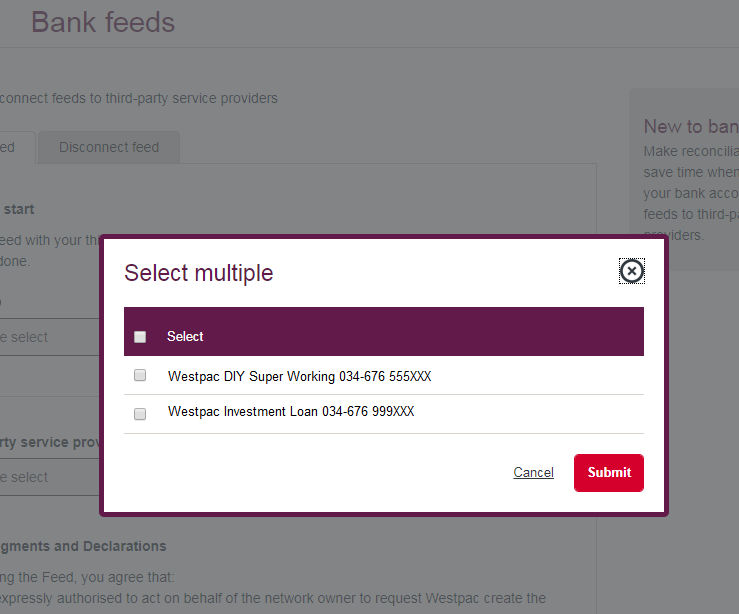 On the Bank feeds screen (shown below), from the Account drop-down menu select the accounts that you wish to set the data feed up for. 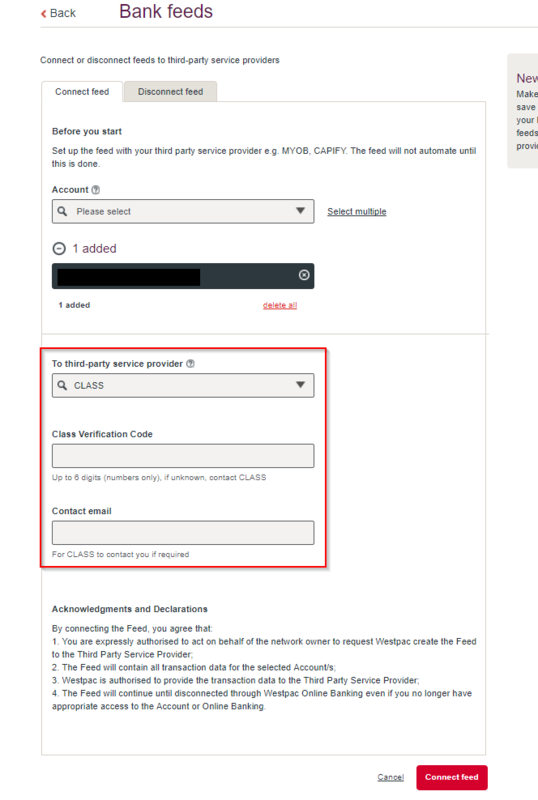 From the Third-party service provider drop-down menu select CLASS. Enter the 6-digit Class Verification Code(s) provided by Intello (there will be a different verification code per account). You will receive a message indicating that the bank feed request has been received and will be activated. Your accountant should start receiving the data within one to two business days. Repeat the process for other accounts held by your SMSF – including your SMSF property loan accounts where applicable. The data feed does not provide us with historical bank transactions. This means we will still require you to provide bank statements or a transaction report from your internet banking for any transactions from the date the account was opened to the date the data feed commences. You will still be required to provide a copy of some statements to us to satisfy the independent auditor of the SMSF. Bank statements show additional important information including the name of the account holder. 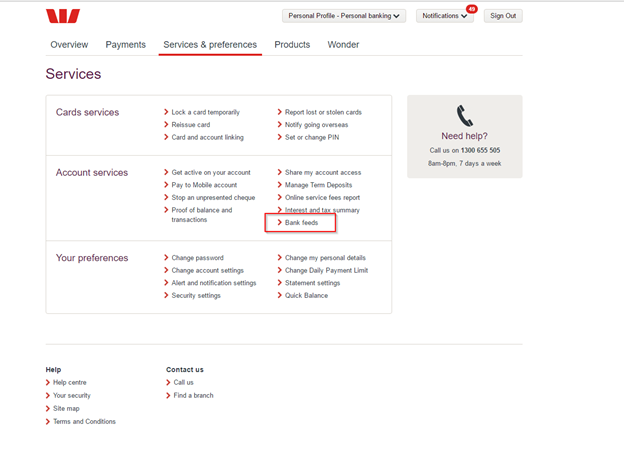 By activating Westpac account data feeds it will reduce the statements we will request in future years.